This week's read is an advanced review copy, so quotes may not be final. But damn they have me excited. 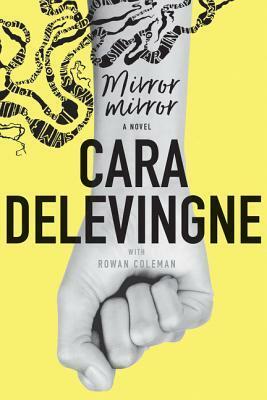 I am currently reading Mirror, Mirror by Cara Delevingne with Rowan Coleman. The sun was rising as we were coming home, our arms interlinked, feet dragging, the heat of summer building in the air. I am so freaking excited to be reading this. I'd heard whispers and picked up a postcard about it at YALC. I love celeb books. I was excited. So when I saw it on NetGalley I broke a nail as I requested it as quickly as I could. And when I was approved I squealed and did a little victory dance. Starting off, I love the writing style. I was a little surprised to find it narrated by Red at the beginning, his was not the voice I was expecting. But his is definitely the voice that the story deserves and is a wonderfully complex character, with many layers and flaws. I sit back in my chair, and of all the things I thought I might feel, it's relief that floods through me and threatens tears. This has a definite Skins feel to it, and I love it. It's a bit shocking, it's raw, it feels real. There is a thread of mystery to the story, a slightly chilling vibe, and I can't wait to see how it pans out. I am excited to read on! I knew this name sounded familiar! I loved this snippet I am going to have to look it up now. I just finished The Sun is Also a Star by Nicola Yoon for a book club, and I am listening to Where'd You Go Bernadette by Maria Semple. I have to pick a new book to read and I have a couple digital arcs I want to start as well as some thinner books I can probably finish this weekend. I'm happy you got a book you were excited about. It does sound interesting. My teasers are from a historical mystery - A Conspiracy in Belgravia by Sherry Thomas. Happy reading! 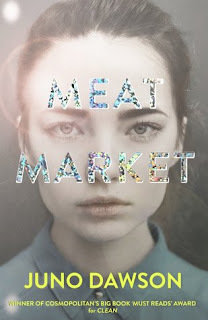 I didn't know that Cara Delevingne wrote a book. I'll have to check it out. I would totally read this book! Happy weekend! Have a great weekend, and thank you for sharing!